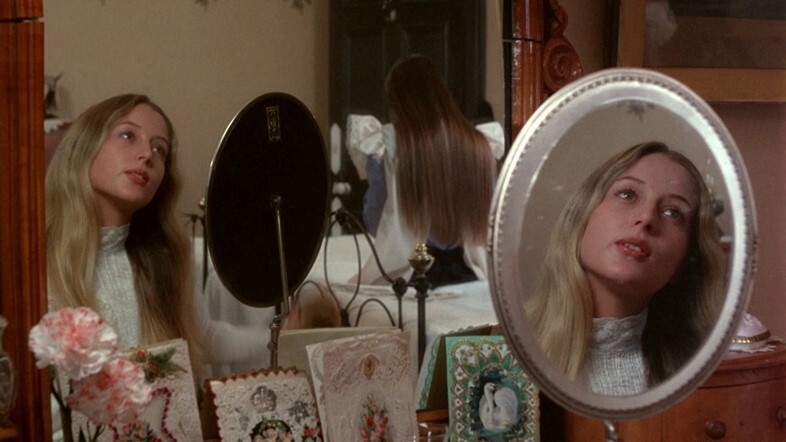 “What we see or what we seem are but a dream, a dream within a dream.” So begins Peter Weir’s Picnic at Hanging Rock (1975), a dreamscape in which appearances are revealing and deceptive in equal measure. The film is based on Joan Lindsay’s 1967 novel, which tells the tale of one fateful Valentine’s Day in central Victoria in 1900. On a school trip to the geological marvel of Hanging Rock, a rare volcanic formation over 6,000,000 years old, three schoolgirls and a teacher abruptly disappear. After a picnic, toasting Saint Valentine and cutting a frosted cake, the group set off into the mystical landscape long associated with Indigenous Australians; they are never seen again. 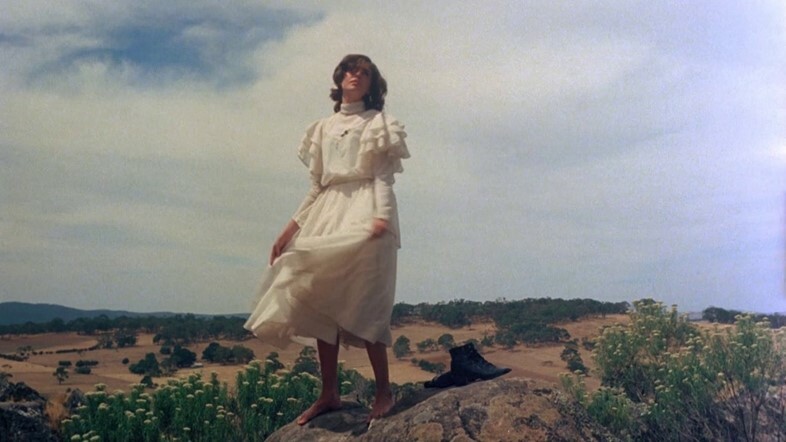 We revisit Weir’s lush outback imagining, filmed under the hazy gauze of a wedding veil lens, and cast a keen eye over the costumes of his fantastical summer dreamers. Become “a Botticelli angel” like missing girl Miranda (Anne Lambert) by surrounding yourself in swathes of white fabric. Edwardian customs may have ended but long skirts, pristine whites, and delicate fabrics make easy accompaniments to more current trends. Whether muslin or silk, the dresses of all the girls have one thing in common – lace. Lavish yourself in its intricate finery. Follow the example of the Appleyard schoolgirls and strip back your beauty routine to its bare essentials. Begin by bathing your face in floral water – all you need is fresh flowers, green stems cut on the diagonal, immersed in a china basin of water to clear your pores. Outtakes from the film see the girls brushing red flower petals against their lips for rouge. Peach-juice lips and natural blushed cheeks (gained from clambering over rocks) are all you need to gain a glowing complexion. Mother Nature knows best. 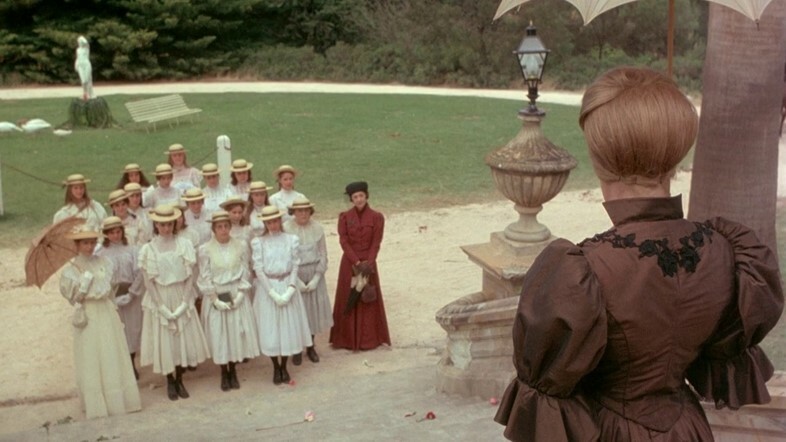 While much goes unsaid in Hanging Rock, the clues to the plot lie in the clothes. On close inspection Miranda’s neckline and wrists are circled with embroidered daisies – her favourite flower and also a symbol of purity. Even her belt reveals untold truths, as Lambert has remembered: “The butterfly buckle was selected because like her, their lives are beautiful and brief.” Remember that clothes can speak volumes when they need to, use that power wisely. Forget fabric scrunchies – this summer, tie your hair with a ribbon, and replicate Miranda’s loose mermaid plait or Irma’s French braids. The variety of decorative ties is endless, from thin blue satin to wide chequered cotton. As the girls venture further away from the group and up the rock their hair becomes disheveled and the perfectly pristine styles unwind, leaving them with loose locks that hang over their shoulders and fly-aways that artfully frame their bewitched faces. Let your hair relax this summer – it should be allowed to wander free, even if you can’t. “How could she lower herself to be spirited away?” Mrs Appleyard wonders of her missing colleague. At the heart of the film is the frustration that comes with disappearance. 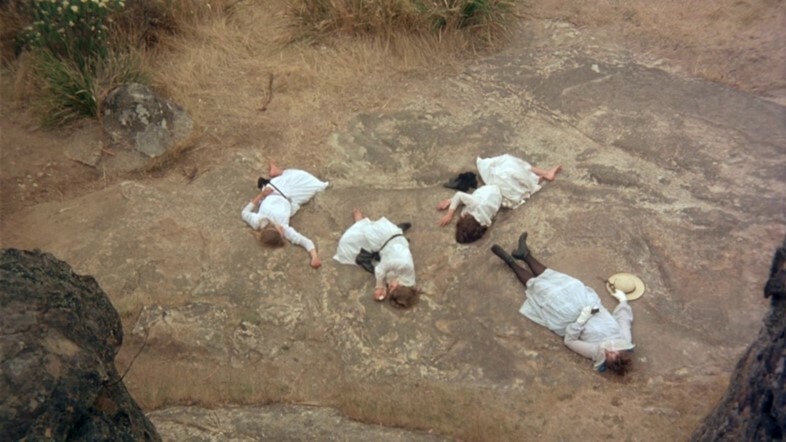 Weir’s ambiguous ending ensures we stay, like all the other characters in the film, in the dark as to what exactly transpires at Hanging Rock. What we do know for sure, is that disappearing without a trace earns you no friends. If you must go wandering and leave others behind, follow the advice of the young man who tries to recover the girls and leave notes in the trees for others as you go, à la Shakespeare’s Rosalind. Alternatives include emails or texts. No one likes to be ghosted, and paper (or pixel) breadcrumbs might just rescue you one day. Picnic at Hanging Rock began last night and continues on July 18, 2018 at 9pm on BBC Two.